PUNE: Flyers to Coimbatore, Guwahati as well as Kolkata have a reason to rejoice with Jet Airways starting three direct flights between Pune and the three cities from September 2. With this, the total flight movement from the Pune airport has gone up from 158 to 164. "We are expecting more airlines to start new flights soon. 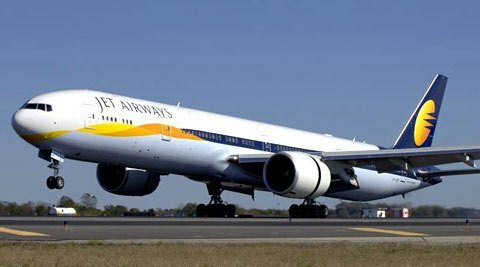 We cannot share details unless they confirm the flights," an airport official told pune-news.com. On the Pune-Coimbaotre route, flight number 9W363 takes off from Pune at 23:55 hours and reaches Coimbatore at 01:45 hours (the following day). On its return leg, 9W364 leaves Coimbatore at 03:05 hours and reaches Pune at 4:55 hours. It then connects New Delhi, reaching the national capital at 7:40 hours. The airlines started another direct flight from Pune to Kolkata on September 2. Flight 9W2486 leaves Pune at 3:55 hours (except Tuesday) and reaches Kolkata at 6:30 hours. On its return journey, flight number 9W 2474 takes off from Kolkata at 21:25 hours (except Tuesday) and reaches Pune at 00:05 hours (the following day). "On Tuesdays, the flight will leave Pune at 02:55 hours and reach Kolkata at 05:30 hours, before taking off for its return journey at 21:55 hours," the official said. On the Pune-Guwahati route, a Jet official said, flight 9W2486 leaves Pune at 3:55 hours (except Tuesday) and reaches the northeastern city at 8:20 hours. On Tuesdays, the flight will leave Pune at 02:55 hours and reach Guwahati at 07:20 hours. On its return leg, 9W2474 will leave Guwahati at 19:15 hours (except Tuesday) and reach Pune at 00:05 hours (the following day). "The airlines should also start direct flights to Kolkata during the day hours too," said Ashutosh Roy, an IT professional.